If you are a fan of my Crock-Pot yogurt and straining method for making Greek Yogurt, you'll love this twist! 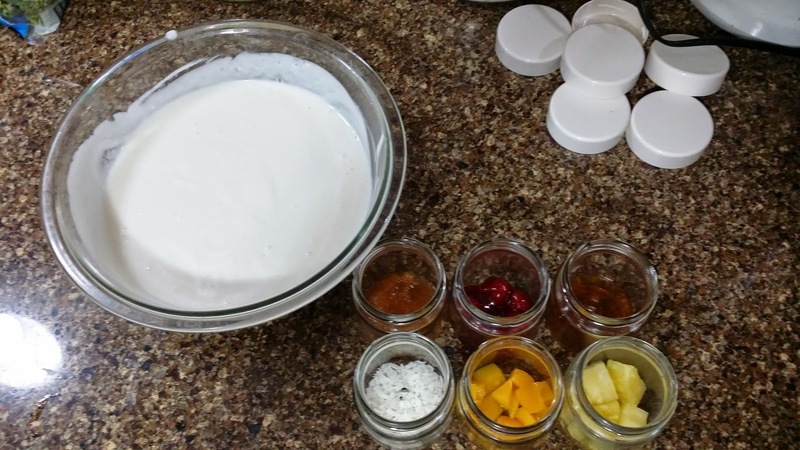 Homemade "Fruit-on-the-Bottom" Greek Yogurt cups! 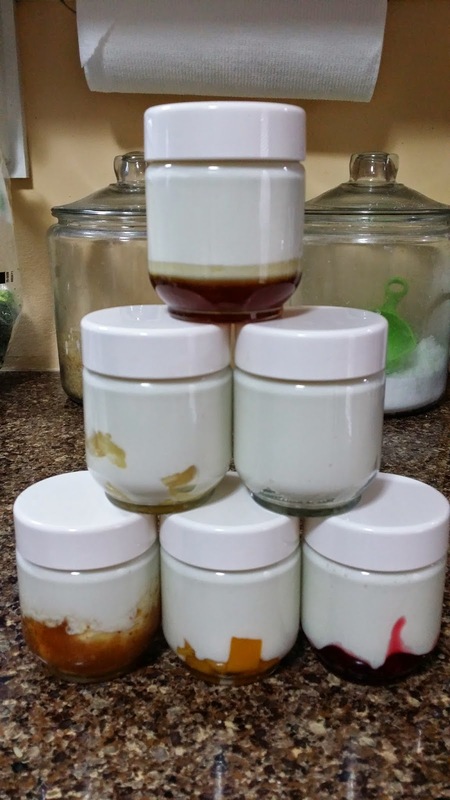 I used a half-gallon of milk to make yogurt and strained it to the consistency I wanted, flavored with vanilla extract and a little sugar. Then I go through my pantry and fridge to create some great flavors! 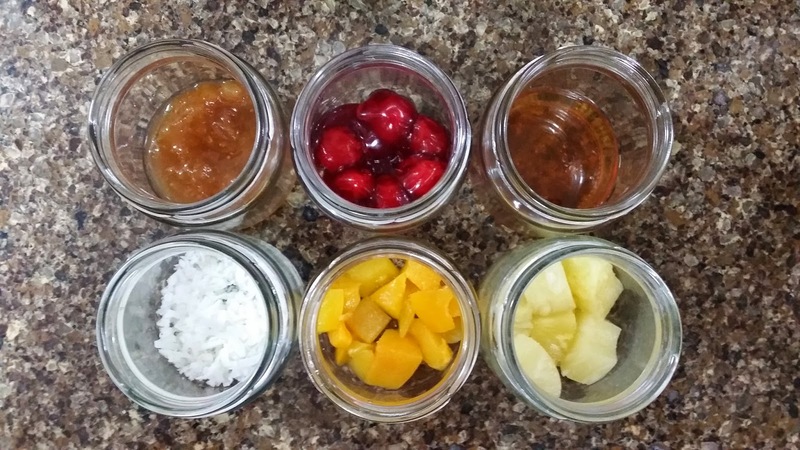 From top left: Homemade Fig Preserves, Cherry Pie Filling, 1 Tbs Raw Honey, 1 Tbs sweetened Coconut, Fresh Peaches, and Fresh Pineapple. Top with yogurt and store in the fridge!